Let the ghosts of Pac-Man illuminate your life! 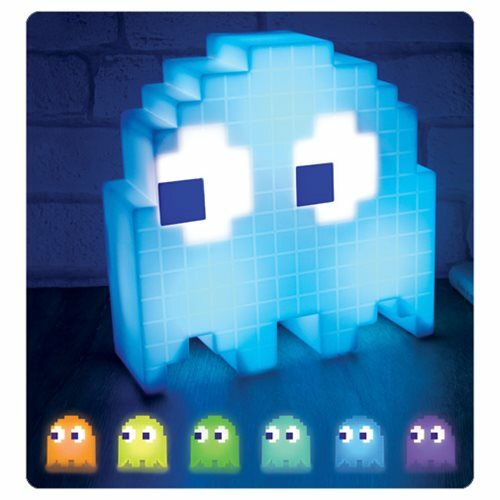 This Pac-Man 8-bit Ghost Light changes different colors, so you can hang out with the whole gang, including Blinky (red), Pinky (pink), Inky (cyan), Clyde (orange), and more! It's a must-have light for Pac-Man fans. Party mode reacts to music. Colors changing mood light with 16 colors and 2 modes. Measures 8-inches (H) X 8-inches (L) X 2 1/2-inches (W). Ages 8 and up.